Today in periodicals, journalism and everyday life one can hear a lot of stories about the hostile takeover of a particular enterprise, about the evil raiders tearing up the Russian economy, about the powerlessness of law enforcement agencies, their corruption and much more. But do we always correctly understand the essence of the processes in question? Historically, the function of creating unified competitive business environment and maintaining order in ownership relations is assigned to the state. Failure to comply or poor performance by the state of the function of coordination of competition is the reason for the occurrence of abusive practices of property redistribution. So in Russia as elsewhere in the world these instances are usually called "takeover". What is "hostile takeover", what does this concept contain , how to treat it correctly and in what cases it can be used in academic sphere and business vocabulary. The current legislation of the Russian Federation properly discloses neither the concept of acquisitions of legal entities, nor even its content. The article deals in detail with the problems of the correlation of such concepts as mergers and acquisitions. 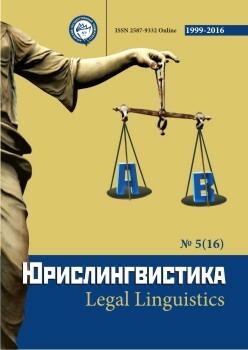 The authors note that, both in Russia and in foreign countries, there is currently no common understanding of the terms in the legal literature. 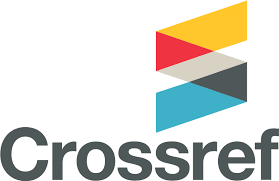 Based on the analysis of various approaches, it is concluded that, despite some similarity with such a form of reorganization as a "merger", the concept of "takeover" cannot be recognized as a form of reorganization of a legal entity. As a result of the doctrinal and normative study of these terms, the authors propose the definition of the concept of "takeover". Бегаева А. А. Особенности правовых средств предотвращения недружественных поглощений // Безопасность бизнеса. Москва, 2008. N 2. Владимирова И. Г. Слияния и поглощения компаний // Менеджмент в России и за рубежом. Москва, 1999. N 1. Волков В. В. Международные слияния и поглощения банков стран Европейского союза: Дис. ... канд. экон. наук. Санкт Петербург, 2004. Гомцян С. В. Правила поглощения акционерных обществ: сравнительно-правовой анализ. Москва, 2010. Гохан П. А. Слияния, поглощения и реструктуризация компаний. Москва, 2004. Долинская В. В. Поглощения и реорганизация // Гражданское право.Москва, 2008. N 1. Ионцев М. Г. Корпоративные захваты: слияния, поглощения, гринмейл. Москва, 2005. Могилевский А. С. Слияние и присоединение акционерных обществ по российскому законодательству: Дис. ... канд. юрид. наук. Москва, 2006. Молотников А. Е. Слияния и поглощения. Российский опыт. Москва, 2006. Рудык Н. Б. Методы защиты от враждебного поглощения. Москва, 2006. Рудык Н. Б., Семенкова Е. В. Рынок корпоративного контроля: слияния, жесткие поглощения и выкупы с долговым финансированием. Москва, 2000. Hengeler Mueler. A New Takeover Regime for Germany: German Act on Acquisition of Securities and Takeovers. In Takeovers in English and German Law / Ed. by Jennifer Payne. Hart Publishing. Oxford and Portland, Oregon, 2002. Begaeva A. A Features of legal means of preventing hostile takeovers [Osobennosti pravovyh sredstv predotvrashhenija nedruzhestvennyh pogloshhenij]. Bezopasnost' biznesa - Business security. Moscow, 2008. N 2. Vladimirova I. G. Mergers and acquisitions of companies [Slijanija i pogloshhenija kompanij]. Menedzhment v Rossii i za rubezhom - Management in Russia and abroad. Moscow, 1999. N 1. Volkov V. V International Mergers and Acquisitions of Banks of the Countries of the European Union [Mezhdunarodnye slijanija i pogloshhenija bankov stran Evropejskogo sojuza: Dis. ... kand. jekon. nauk]. St. Petersburg, 2004. Gomtsyan S. V Rules for the acquisition of joint-stock companies: a comparative legal analysis [Pravila pogloshhenija akcionernyh obshhestv: sravnitel'no-pravovoj analiz]. Moscow, 2010. Gohan P. A. Mergers, acquisitions and restructuring of companies [Slijanija, pogloshhenija i restrukturizacija kompanij]. Moscow, 2004. Dolinskaya V. V Takeover and reorganization [Pogloshhenija i reorganizacija]. Grazhdanskoe pravo - Civil law. Moscow, 2008. N 1. Iontsev M. G Corporate asset-grabbing: mergers, acquisitions, greenmails [Korporativnye zahvaty: slijanija, pogloshhenija, grinmejl]. Moscow, 2005. Mogilevsky A. S Merger and consolidation of joint-stock companies under the Russian legislation [Slijanie i prisoedinenie akcionernyh obshhestv po rossijskomu zakonodatel'stvu: Dis. ... kand. jurid. nauk]. Moscow, 2006. Molotnikov A. E. Mergers and Acquisitions [Slijanija i pogloshhenija]. Rossijskij opyt - Russian experience. Moscow, 2006. Rudyk N. B Methods of protection against hostile takeover [Metody zashhity ot vrazhdebnogo pogloshhenija]. Moscow, 2006. Rudyk N. B., Semenkova E. V. The corporate control market: mergers, tight takeovers and redemption with debt financing [Rynok korporativnogo kontrolja: slijanija, zhestkie pogloshhenija i vykupy s dolgovym finansirovaniem]. Moscow, 2000.